Spring in England is pure delight, but nowhere more so than in Kent, the self-proclaimed ‘Garden of England’. My second career was as an restauranteur, and moving to Rye, on the Kent – Sussex border in spring, I was astonished by the exuberance of nature, the beauty of the countryside and the delightfully varied vernacular architecture of the villages. My friends were all curious, and keen to come and stay for the weekend that first summer, and where better to take them for a picnic than nearby Sissinghurst? The many visits made me appreciate how through the seasons, one state of planting perfection was followed by the next. Sissinghurst still has that special place in my affections. Whereas some gardens are important because they are innovative; their underlying philosophy representing a cultural shift; others are the high point of a particular garden style. 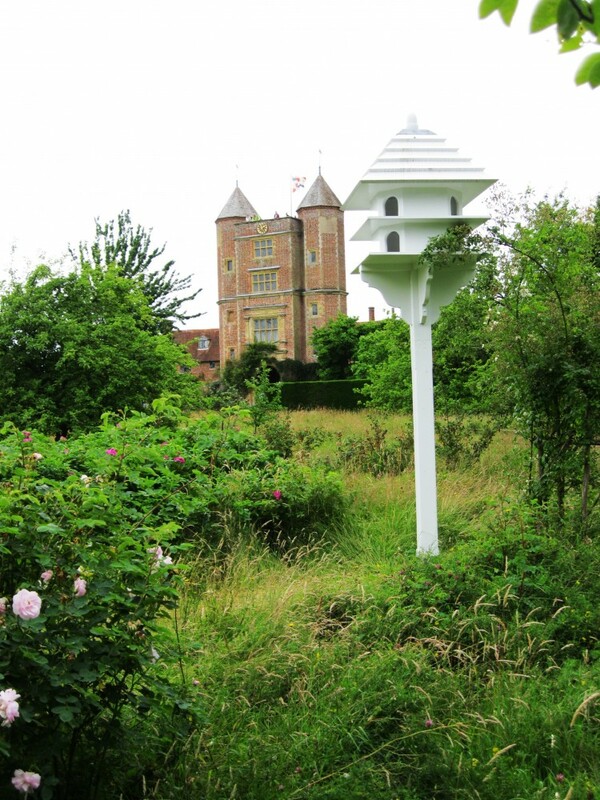 Sissinghurst, represents the apogee of the English Country Garden Style becoming one of the most influential gardens of the 20th century; and yet……… on my most recent visits I was conscious how it was becoming a museum piece. Our garden culture has moved on, but this wonderful garden is famed for its style of planting, and so can never change. The garden was the creation of a remarkable couple; their characters complete opposites but their creative talents complementary. Vita Sackville-West was the superb plantswoman, an impulsive outspoken aristocrat, writer and poet who scandalised society by abandoning her husband and family and running off first with her lover Virginia Woolf, and later with Violet Trefusis. 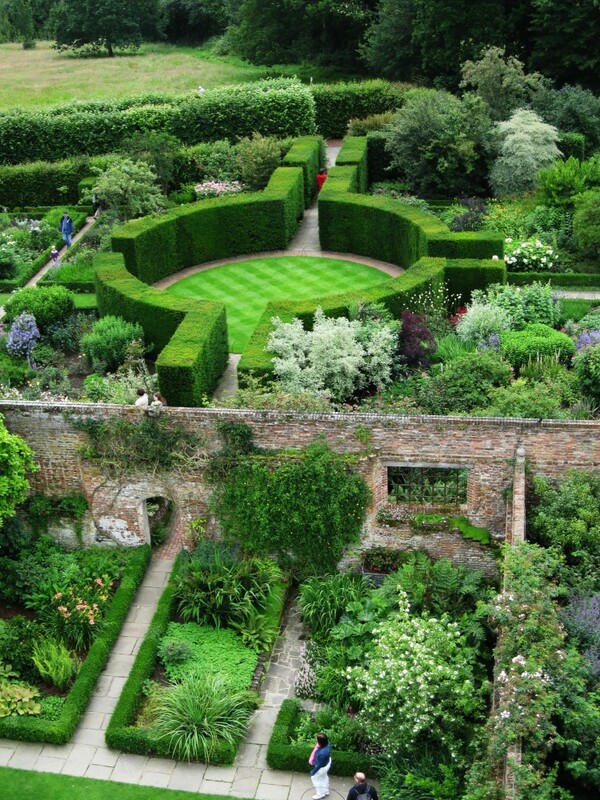 Her husband, Harold Nicholson who gave the garden its strong layout and structure, was a cautious diplomat, politician, writer, publisher and a discreet homosexual. 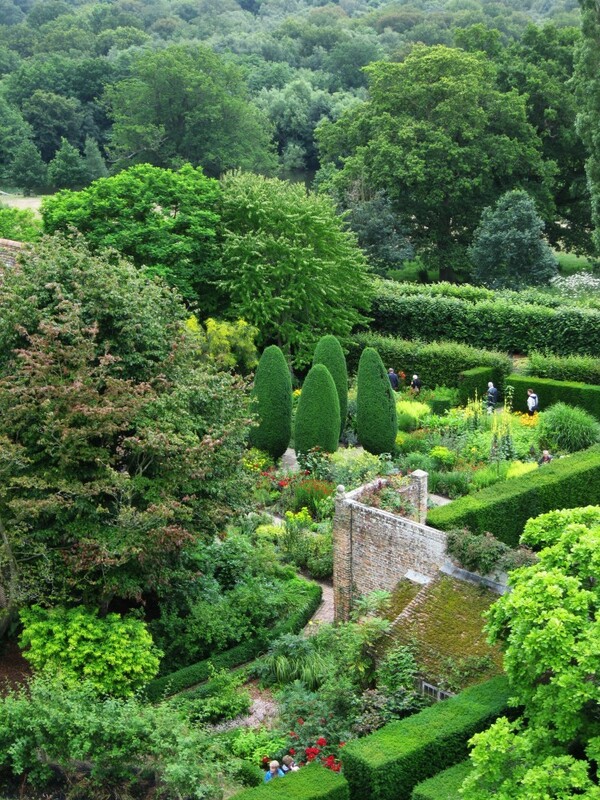 Situated some 50 miles south-east of London, Sissinghurst was a derelict ruin and farm with woodland when the couple discovered it in 1930; but by 1938 the garden was ready to open to the public. Vita’s column in The Observer from 1946-1960, and her other garden writing further popularised the garden and her style of planting; and in 1967 when Sissinghurst passed into the hands of the National Trust, its future was assured. 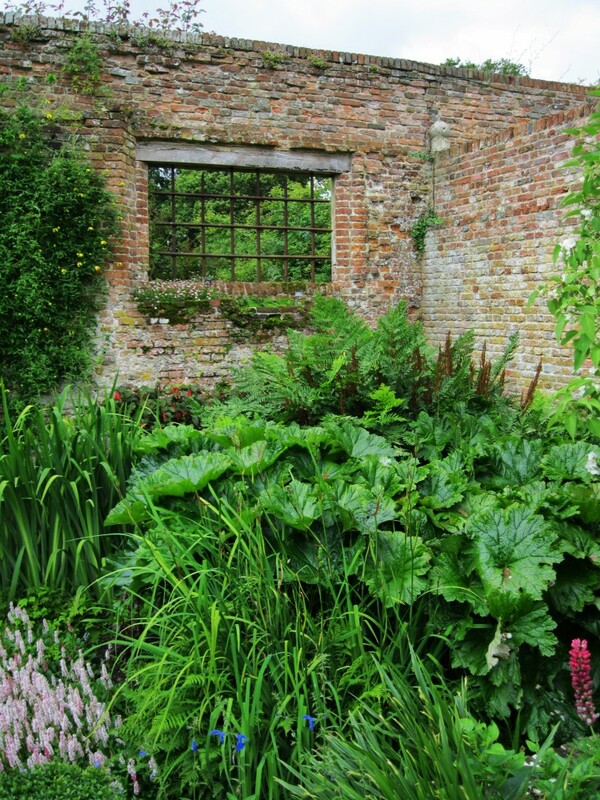 Unlike most country gardens, Sissinghurst does not have a grand house, but retains that feel of a ruin. The garden connects the heavily-restored soft red brick Tudor range of domestic buildings, the isolated four storey tower with its stunning views over the whole garden, and the Kent countryside beyond. 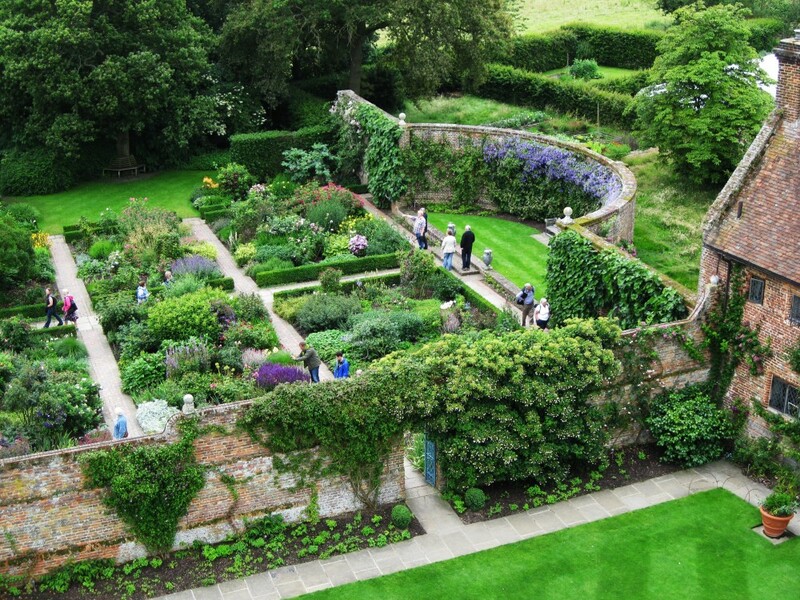 The thousands of visitors that come to Sissinghurst can relate to the scale of the ‘rooms’ (which can be copied in smaller gardens), and also to a style of planting sympathetic to domestic period property. Its influence has spread throughout Europe and the English-speaking world, resulting in surreal copies springing up in the most unlikely places and unsuitable climates. Each of Sissinghurst ‘rooms’, has its own distinctive appearance, which can be disconcerting moving from one to the next; the Long Library Courtyard with its skilfully coordinated purple border; the vibrant yellows, reds and oranges of the Cottage Garden, the spring bulbs of The Lime Walk, and the world-famous White Garden with its subtle use of white as a colour, set against green and silver foliage. 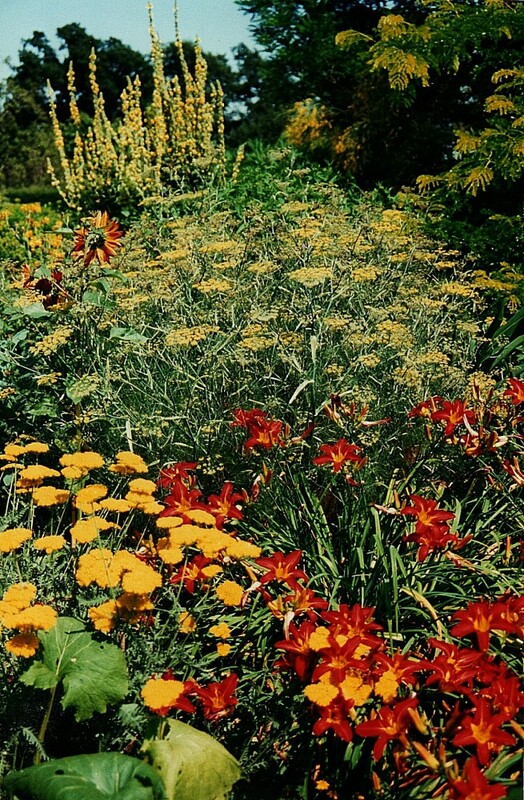 Everywhere, the planting is incredibly stylish and sophisticated, colours leaf and flower type matched or contrasted, changing through the seasons and carefully stage-managed so that one dominant plant group is superseded by the next. The overall effect is one of lush planting counter-balanced by the tight structure of clipped hedges and topiary. 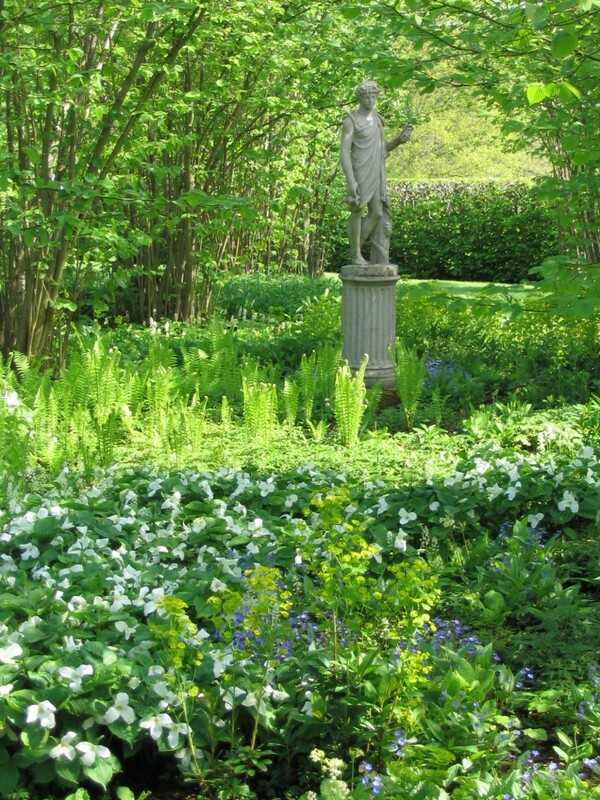 Formal vistas are terminated with seats, urns, sculptures and jardinieres, or doorways leading to other garden areas. 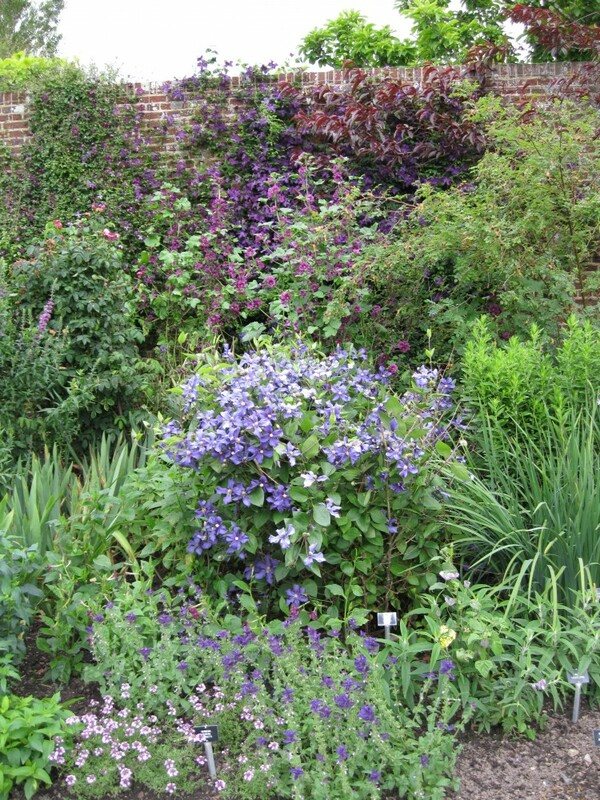 The structure I greatly admire; the planting is stunning, but too diverse and busy for my taste – why plant five closely-related cultivars when a large block of one single one can be more effective? The answer is the sheer joy in the abundance of nature. 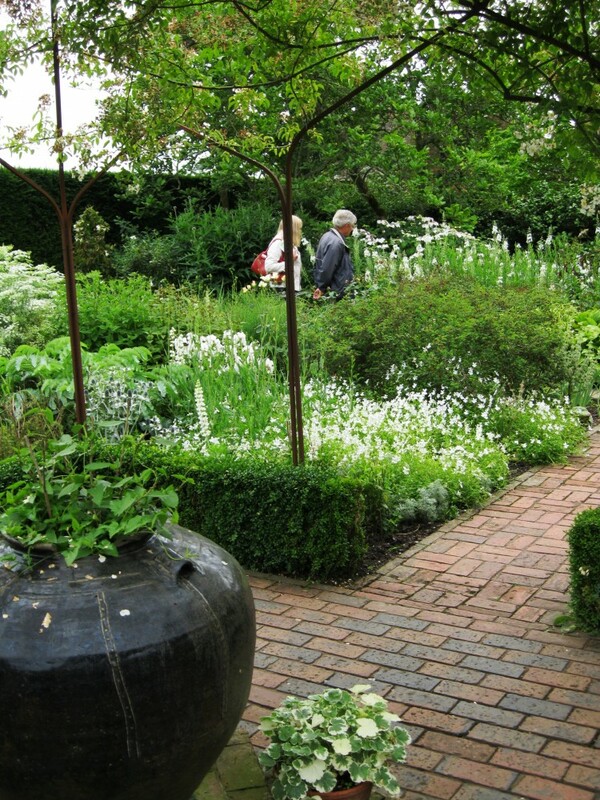 Sissinghurst’s huge popularity has required careful management by the National Trust, building new stone paths in place of worn out turf, and introducing a system of timed entries. Its immaculate upkeep requires 8 full-time gardeners and 140 volunteers; something few other organisations could undertake. This fabulously stylish garden is reason enough to be a member of The National Trust, somewhere to be revisited at the very least, once a year.